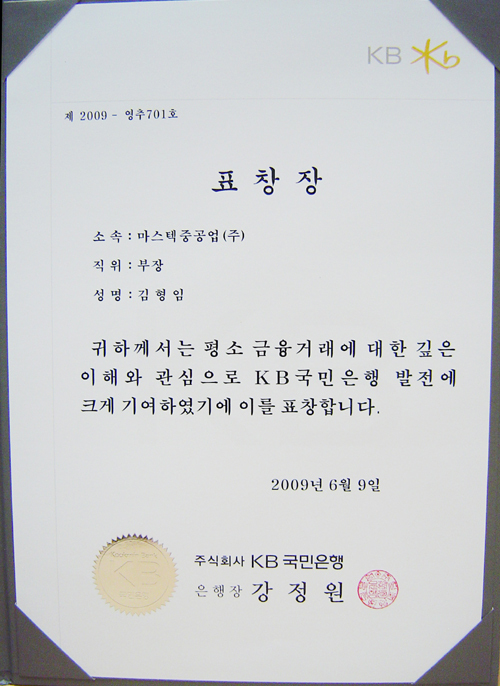 Mastek was given a citation for Contribution of Banking & Financial Development of Kookmin Bank (KB). KB mentioned that as a Small & Medium enterprise, Mastek made a contribution to foreign exchange, banking & financial system development, etc so that it was granted. Since awarding as 'A promising Small & Medium Enterprise' by KB on last March, 2008, Mastek received the honor for 2 times and are appreciating.